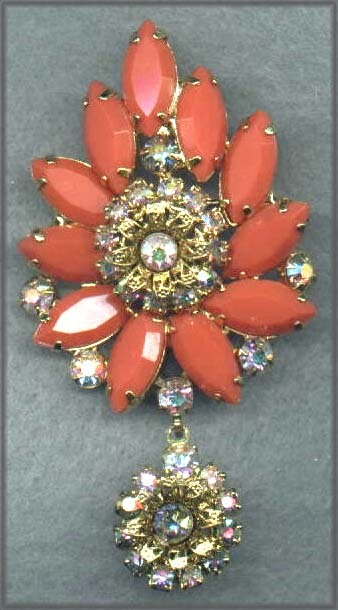 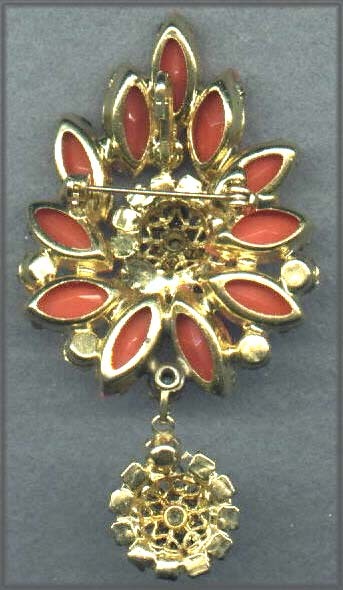 Huge Florenza pendant measuring almost 1 7/8" wide by 3". 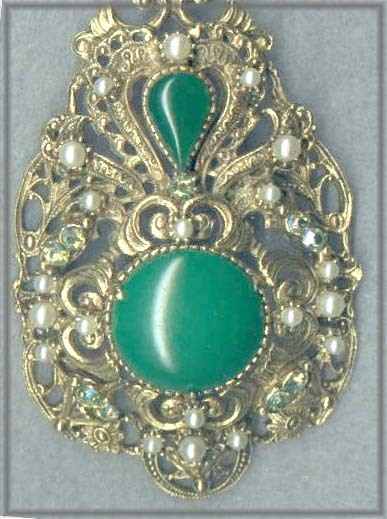 One large round green stone is capped by a tear-shaped one of similar color. 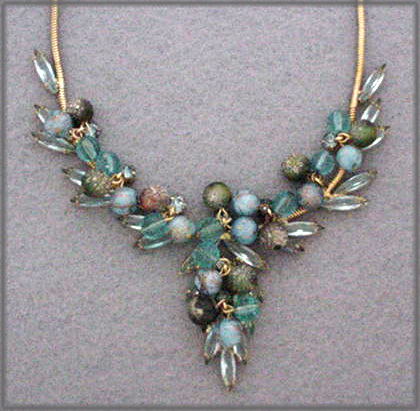 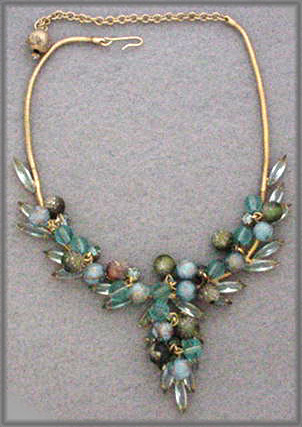 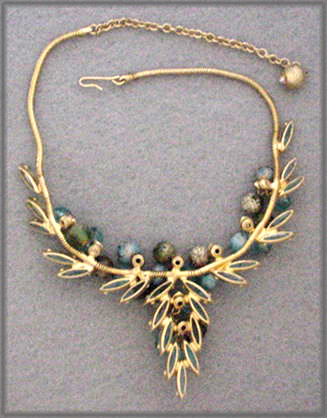 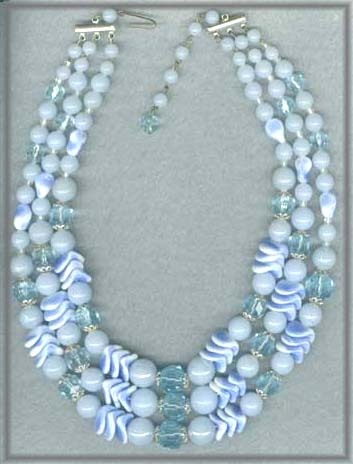 Faux pearls and aurora borealis stones highlight design shape. 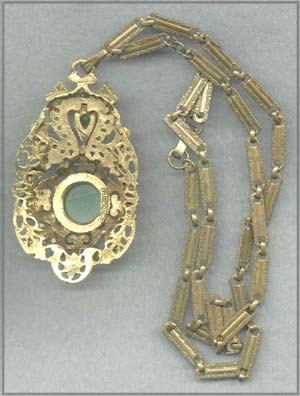 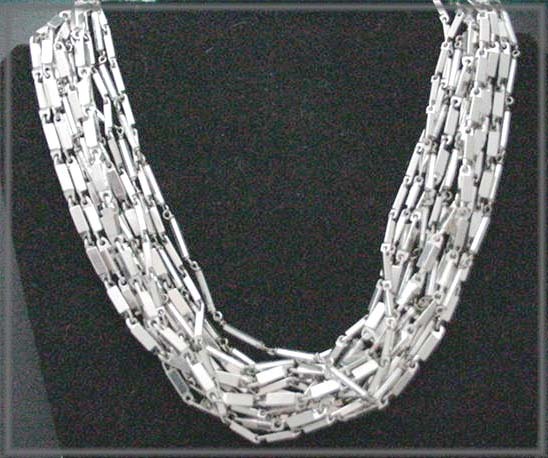 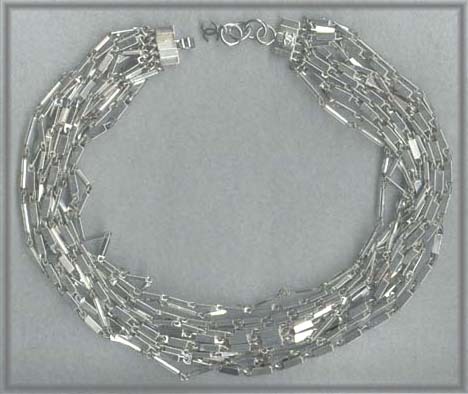 The chain is 24" long and it is a bit darker than the pendant's plating. 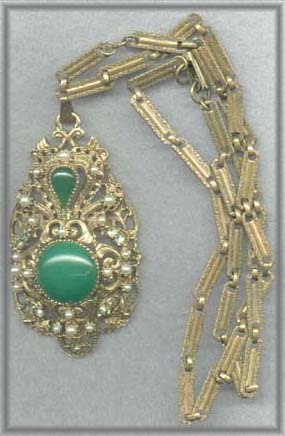 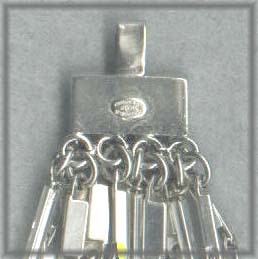 So consider the chain as a gift with the purchase of the pendant.